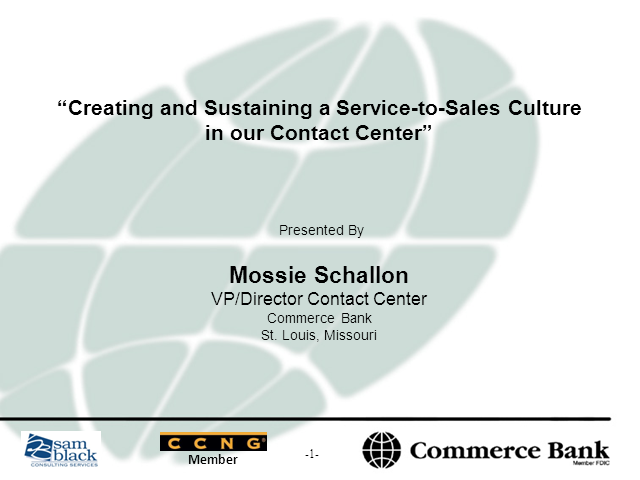 Creating and Sustaining a Service-to-Sales Culture in the Contact Center. If your contact center is considering moving from a service only environment…. turning service reps into sales reps too, then hear how a leading Midwest bank accomplished this goal and realized an almost 60% increase in revenue contribution from 2008 to 2010! Addressing hiring, staff realigning, training, incentives, and quality, they pulled it all together to create a great experience for their customers and a profitable result for the organization. Learn how your inbound customer service center could increase sales and revenue growth at a reasonable cost by leveraging traditional service agents to embrace a service to sales model.